One of the updates introduced with the launch of iOS 8 are long anticipated mobile widgets for the third-party apps for iPhone and iPad. Probably, the fact that Android devices have been hosting those little application components on their home screens for years urged Apple to finally push this functionality too. But guided by the slogan «think different», Apple made their iPhone / iPad widgets stand out indeed. Wonder how exactly? Install iOS 8! (Or read reviews). In this post we decided to shed some light on why you need a widget for your iOS or Android app and what exactly this widget should display. There are two main parties who widgets might concern, namely an app user and an app developer. Therefore, we should look at widgets from the two points of view, starting from a user. Otherwise, who else are we building the widgets for? By placing a widget on the Android home screen, user can get into the app without any scroll of swipe gestures. Unlike on Android, iPhone / iPad user gets there with a quick down swipe to the Notification Center’s Today view. Widgets can’t appear on iPhone home screen — that’s still reserved just for apps and app folders. Apple calls their new take on user experience Extensibility concept. This means you can use services from apps throughout the system without actually being in the app itself. Widget represents this concept in action, as it makes the app accessible right from the Notification Center on your iOS device. Even though a similar idea has been used on Android for long, Extensibility concept actually makes total sense. Since mobile screens are getting every year bigger, users have more place to populate their devices with apps, the number of which is not expected to decline any time soon. Thus a user needs a widget to be in the app within less than a second, instead of spending time to find the application they are looking for. Widgets don’t only allow a quick access into the app, they are especially useful for containing the data important for a user. iOS 7 iPhone Notification Center had Calendar, Reminders, Weather and Stock widgets by default and they remained on iOS 8. But now you can scroll down to the bottom and click on «Edit.» Apple is going to inform you of how many apps, that you downloaded have widget support right below the «Edit» button. Default widgets on Android can depend on the device, but usually they all include Weather, Search, Gmail. So you can put those or any other widgets from the third party apps supporting this feature on your home screen. Now both platforms make it possible for users to be up-to-date with relevant information from any app that supports widgets, whether it’s a Buzzfeed news app widget or an iTranslate. Widgets are not the most important and the most popular feature in you app. Some people like them, some don’t even know they exist. But there is a couple of benefits widgets may bring to your mobile app. Some widgets that offer a valuable addition to user experience can be added to in-app purchases. Examples include the widget for our own app My Day. My Day is a countdown timer, calendar and clock for Birthday, Christmas and other events. It has been developed for both platforms, iOS, and Android. We added a widget on Android to help the user keep track of how much time is left till a long-awaited vacation or wedding, or whatever else. Another great case is for moms, who can see how much time has passed since the baby was born. 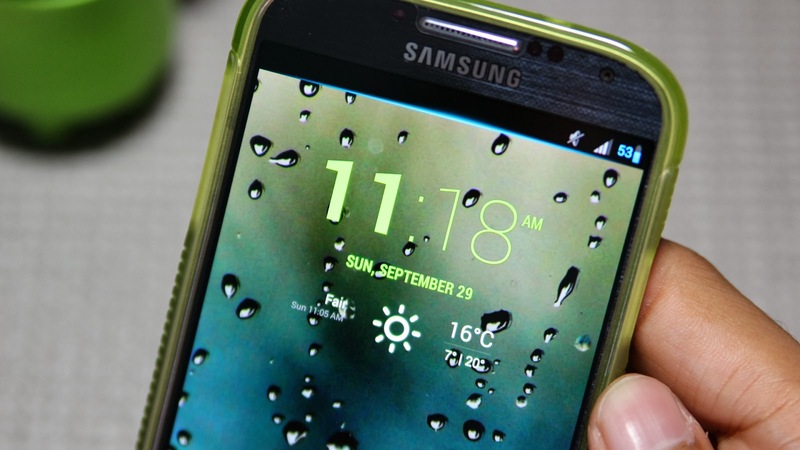 Android allows to develop widgets for both a home screen and a lock screen. That’s why My Day home screen widget comes for free and the widget for lock screen is a paid feature. With 2M installs and 500k active users, My Day has been pretty successful so far. Widget is as an additional feature for your app and serves as a reminder of your app’s existence. User retention is one of the KPIs and you have to do everything possible to make sure the user keeps visiting you app on a regular basis. That’s why it’s important to figure out what exact data your widget should show to the user. The widget that is fully reproducing the app and, therefore, contains excessive information is not what the user will benefit from. This information will overload a small widget and will make it confusing. On the other hand, the widget that doesn’t display the data the user is looking for, is also going to end up not being used at all. Weather app should display today’s temperature and an icon summarizing the forecast (like a bright sun, for example). As simple as that. Everything the widget for our My Day app shows is the number of years, days, and months both before and after the event. But apps can also perform a big number of functions and include a lot of data. Take a social networking application, for instance. It enables the user to send and receive messages, like and comment each others posts, read publications, look at pictures and so on. Should you decide to build a widget for your social app, which data will you display? Does it make any sense at all to build a widget if you have push notifications enabled? What about data rich apps? First and foremost you should identify which data is especially valuable for your user because sometimes they might use your app in the way you do not expect them to. For example, a to-do list app Clear has a widget that displays only tasks marked with a due date. However, Leah Yamshon in the post on Macworld says that’s not how she uses Clear. One more example is LinkedIn’s widget that displays who has viewed your profile recently. This might be helpful for active job hunters, but I personally don’t know a person who thinks this is a worthy piece of info to put on a widget. Profile views might be a good idea to include on the dating app widget, though. Of course, it is hard to meet the requirements of every single user, but you can try to get close if analyze their interaction with your application. Let me give you some nice examples of app widgets that make their users happy. Since widgets for iPhone apps are a hot topic today, I decided to ask our folks with iPhones about the widgets that they use all the time. In case you'd like to develop a widget for iPhone app, these are some insights from the users themselves. Dima, our QA specialist and an active user of everything that has a word fitness in it, has the widget of a fitness app Pedometer++. At the same time Pedometer widget doesn’t allow to see the stats. It pulls the user to the app to get this information, thus taking care of the retention metrics. For our designer Dasha, mobile tools that help to do her creative work are of the primary importance. With Foursquare’s Swarm widget checking-in at any place is just a click away, says Julia, our account manager. «I like Swarm widget on my iPhone. It lets me know where my friends checked-in,» she added. Other worthy examples include Evernote — a lightweight and elegant widget that lets you pick Text, Camera, Photos, Reminder, or List to start a new note within the app, NYT Now with current news headlines and images that pulls you into the app once you are interested in reading an article, Wunderlist which shows four to-dos at a time and has a function of checking them off as you complete them from within the widget itself. All of these widgets are neither overloaded, nor useless, nor cut off from the app itself. You might be wondering what our iOS developers think about iPhone widgets, let alone Android guys. But I decided to leave this tasty piece of info for my next post, where we are going to focus on the widgets implementation. All I can say for now is that Android side of the team is quite skeptical about Apple’s new upgrade, but this is how you would expect them to feel about it. So keep yourself posted and drop us a note in case you have any questions or widget development wishes.